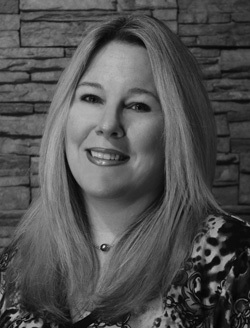 Laura Kessler founded Lark Design in 1991 on Gay Street in downtown West Chester, PA. A commercial art and design graduate of Millersville University, Laura is passionate about innovative design and sound business practices. The original design studio served companies like QVC, Yves Rocher, as well as many Chester County real estate builders and developers. In 1995, Laura relocated to a beautiful mountain location in the Lehigh Valley and continues to serve clients in Chester County, New Jersey, New York and the greater Philadelphia region. Today, after more than 20 years of experience, Laura Kessler is creating clean, forward looking web and print designs for a variety of businesses including 44 Business Capital, Walter J. Cook Jeweler, All Phase Electric Company and the General Warren Inne. Lark Design is committed to personalized attention to your project, your vision and your goals. Laura insists on timely service, attention to detail, superb project management and a transparent business process so you always know the status of your work. Lark Design works with a network of other creative and talented individuals and partner firms who specialize in areas such as writing, photography, illustration, marketing and PR, internet marketing and programming. As a team we deliver agency quality results at an affordable level to small and medium sized businesses, entrepreneurs as well as larger budget conscious corporations. In 2006, Lark Design designed and built a second level modern studio with skylights and beautiful views of the Blue Ridge Mountains. We provide a tranquil environment for clients who prefer to meet at the Lark Design Studio--a nice reprieve from the hustle and bustle of daily business operations. Our clients find the Studio a place where they can truly focus on the design process. Or, if you prefer, we will happily come to your place of business. Laura Kessler will gladly provide references for all prospective clients...just ask. Click here for an abbreviated list. W. Bradford Clason & Associates, Inc.